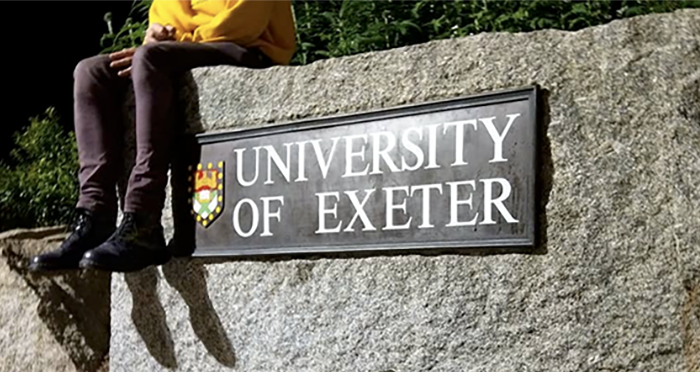 A review has been launched into the University of Exeter’s law society, the Bracton Law Society, just weeks after a number of its members were sanctioned for sending racist messages in a group chat. Undergraduate law students and LLM students have been invited to submit evidence on: the “cultural behaviour of the society”, “elected member’s delivery of their roles”, “the events and activities of the society” and “external influences on the society”. Leading this review is the Bracton Law Society Review Board, which is largely made up of representatives from the guild, the college and the student body. The board has now met for the first time and is inviting submissions of evidence and/or testimony with the aim of creating “a more clearly inclusive and welcoming academic law society”. Exeter’s law society, which has more than 1,000 members, was thrust into the spotlight for all the wrong reasons this year when a number of its members, including committee members, exchanged racist messages on a WhatsApp chat called ‘Dodgy Blokes Soc’. The messages included racist slurs such as: “dirty arab”, “bomb the mosques” and “guess who got a placement you n***a sluts”. The messages were made public when a fellow law student on the chat posted screenshots of them on Facebook. An investigation was launched by the university soon after the messages came to light, and concluded with expulsions, suspensions and other sanctions. Alongside this review of the law society, Exeter has launched “a new online hub, which will give greater prominence to all of our advice and guidance about racism, bigotry, abuse and harassment”. The Russell Group university has also established a commission with “a broad remit to recommend and implement new approaches, initiatives, programmes and policies which will ensure we work continually towards an open, diverse and safe university community for all our students, staff and visitors”. Students can submit evidence to the Bracton Law Society Review Board via email or in person. The board will be inviting specific individuals, including elected officers of the Bracton Law Society, to attend meetings, too. The post Review of Exeter Uni’s law society launched in wake of racism row appeared first on Legal Cheek.